Employment & Training Department, Ahmedabad published notification for Rozgaar Mela (Job Fair) for various technical and non-technical posts. 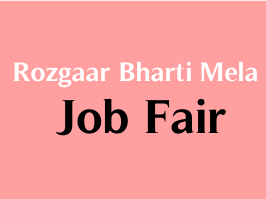 You can view more details about this Job fair in this update. Interested and eligible candidates need to present in Interview with necessary original documents and certificate (with passport size photograph) at below mentioned address.